Hey Sylvester Stallone, got some time to honor Joe Frazier on Wednesday? It’s been 46 years since Smokin’ Joe Frazier – a Philadelphia boxing legend – dropped Muhammad Ali during “The Fight of the Century” at Madison Square Garden. It’s also been six-and-a-half years since Frazier died of liver cancer, and two-and-a-half years since a statue in his posthumous honor was unveiled in South Philadelphia. 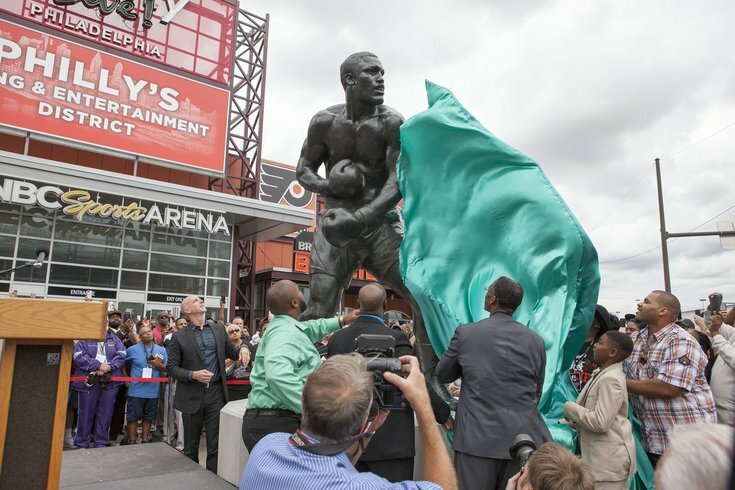 On Wednesday – just a few days after the actor who portrayed a fictional boxer visited the famous statue created in his likeness long held up as a symbol of the city’s collective spirit – another long overdue honor will be added to Frazier’s legacy. His daughter, Weatta Frazier Collins, shared word with PhillyVoice on Monday night that an event to ceremonially rename Glenwood Avenue – which intersects with North Broad Street near Frazier’s former legendary gym – to Joe Frazier Boulevard will take place on Wednesday afternoon. Frazier Collins, one of nine living children of the legendary boxer, noted that the invited guests include boxers Larry Holmes, Michael Spinks and Bernard Hopkins along with a slew of others. While Sylvester Stallone isn't listed on the press release, it would be fitting coda to Frazier's posthumous honors if he showed up at Wednesday's event, wouldn't it? 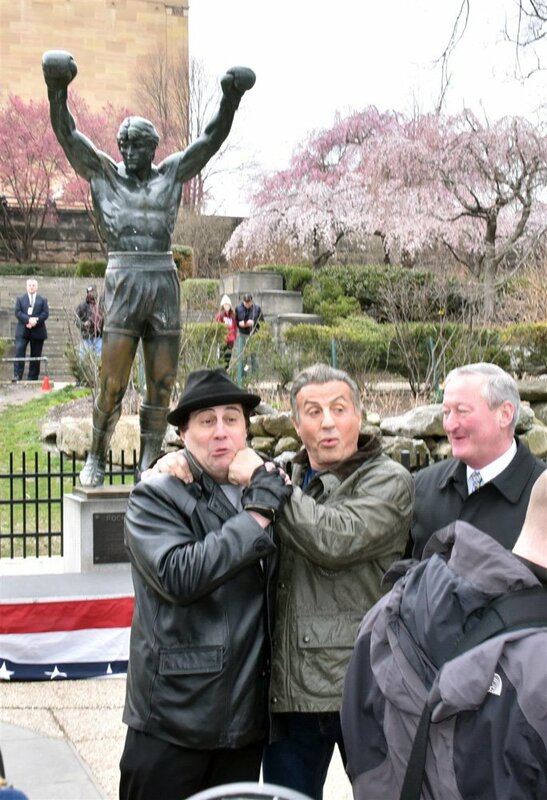 Rocky Balboa impersonator, Mike Kunda, Sylvester Stallone and Philadelphia Mayor Jim Kenney pose near the Rocky Statue outside the Philadelphia Museum of Art, Friday, April 6, 2018. I mean, dude was out and about last week while in town filming "Creed II," the umpteenth edition in a Rocky franchise that stole Philly's Legendary Boxer mantle from the one-time heavyweight champion of the world. It seems as if she's succeeded in that mission, even if she thinks her dad wouldn't have enjoyed all the accolades. "Joe Frazier did not believe that he was an exceptional human being," she said. "He believed that awards ceremonies, statues, buildings and street names were not necessary in his honor for the simple fact that he was just doing his job." The event will be held at noon at the corner of Broad Street and Glenwood Avenue.